it where you want and share it how you need, knowing it will always remain secure. Workshare takes a comprehensive, robust approach to securing your files against potential risks and threats to provide the strongest possible foundation for compliance. You have complete control over authorization and who accesses your company content, giving you the confidence to share valuable information. Security configuration is easy to handle, ensuring only the right people have access to your files. And, access permission, time limits or download rights can be set by individuals at folder and file level. Create unique security measures for multiple purposes. Whether specific to a Corporate, a location or a department, your personalized policies maintain data security and provide an overview of any sharing activity. Mobile devices can be centrally authorized and unauthorized to lock-down content access. You can set permissions that restrict what types of information are available offline and which mobile devices can be used. Get insight into who is accessing your content by tracking user activity and their device usage. A detailed activity log shows all sharing action, including who has accessed content and from what device. This helps you comply with legal mandates and any sector-specific requirements. Access to Workshare is via an authenticated user account. Corporate logins and passwords are under the control of the admin and can be integrated with Active Director or LDAP. Workshare encrypts and protects your data when in transit (as well as at rest) with RC4-128 Secure Sockets Layer (SSL) technology (and 256 AES encryption at rest). All files in Workshare are stored in a proprietary, binary-fragmented format rather than the original format. This means that less are unintelligible except to users and guests who have gained authenticated access through Workshare. Different customers have different requirements around how and where their data is stored. 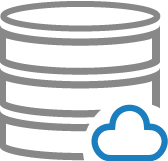 Choose a geographic location from our selected, highly secure data centers, or leverage your own on premises data store for a hybrid model. Get immediate deployment of updates to internal and external teams via Workshare’s secure public cloud, and there is no need to install updates when the service is online. IT can choose the best geographical location to store your files, based on our worldwide selection of secure data centers. For full data control, Workshare offers hybrid cloud deployment. This allows documents to be stored in a company-owned data center, behind a dedicated firewall. All Workshare associated data remains under the control of your organization. 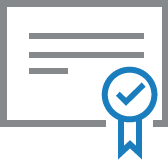 With the hybrid deployment option, you own the certificate and controls for encryption – another added layer of security for highly sensitive content. You can manage all document access rights and permissions, integrated with Active Directory and LDAP with single sign-on (SSO) for complete confidence. Workshare protects all data using 256-bit AES encryption which is designed to be strong enough to handle even the most adversarial attacks. Strategically separated, geographically remote data centers prevent data destruction under catastrophic scenarios — and speeds data recovery in the instance of a disaster through real-time replication, multiple connections, and alternative power supplies. All Workshare personnel and all our data center partner personnel are screened and bound by strict confidentiality agreements, reference and background checks (where applicable). Security-related fixes on the infrastructure are automatically guaranteed by our data center partners to an SLA. All internally-developed code is checked against the a 3rd-party vulnerability list and a 3rd party professional intrusion test certification performed on a regular basis – we are so sure of our security that we allow our customers to run their own security tests. North American partners are also Federal Information Processing Standard (FIPS) and healthcare-applications compliant with HIPAA’s Security and Privacy Rules.